Charter Bus Pembroke Pines, FL. Pembroke Pines Bus Rentals in Broward County Florida offers cheap airport shuttle and charter bus service to Fort Lauderdale-Hollywood International Airport (FLL) and Miami International Airport (MIA) and any other destination of Broward County every day of the week, year round including holidays -- even on Christmas. 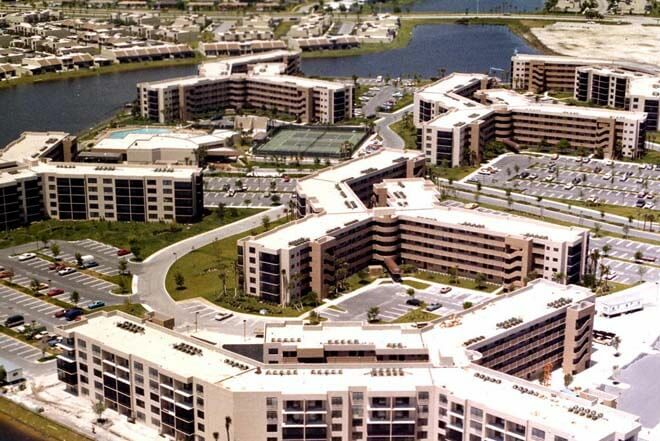 We serve the greater Southern Florida, 24 hours a day, 7 days a week. Pembroke Pines Buses provide top notch courtesy drivers whose sole mission is to provide excellent service, insure your safety, and give you the most impressive experience traveling back and forth to airports and beyond – all at one fixed nominal flat rate. Pembroke Pines Bus Rental provide chauffeured service for VIP shuttle buses and mini-coaches any time you need it with door-to-door service, and complimentary refreshments for you and your party no matter what the size, and free baggage service. We even track your flight information to make sure you arrive to your gate and flight on time! 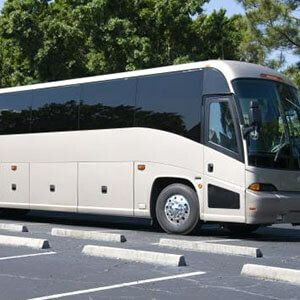 Pembroke Pines Bus Rental not only offers you inexpensive private bus service and cheap rides to airports but stellar VIP treatment whether we provide any of our shuttle buses, mini coaches, or charter bus for any day trip, wedding, and birthday party, or prom -- nearly any function you can imagine taking place in Pembroke Pines. Our rates are cheap, but service isn't – we give you a bang for your buck and go that extra mile to make sure you are comfortable and satisfied with our service. Preview Pembroke Pines Party Bus and Limo Fleet. Pembroke Pines VIP charter bus service can provide ground transportation to William B. Armstrong Dream Park or the Hollywood Beach boardwalk. Take a Pembroke Pines charter bus to the Seminole Hard Rock Casino in Hollywood, Florida for a night on the town and hit other nightclubs in the area such as Café Iguana Pines or Dean's Gold – a premiere place for Bachelor Parties and dancing. Avoid drinking and driving and let us get you home at the end of a fun night out. Take a Pembroke Pines Charter bus to Capricio Ristorante, the best Italian cuisine in the area, or to a wonderful dinner at Miami Tandoori on North University, for the best Pakistani dishes in the state. Or if you want an activity bus for the kids – we'll drive you and all your little ones to the Children's Harbor, where they can have a fun day of outdoor activities from jungle gyms to softball. So whether you are in town for one night cause of a layover, want to dress to impress and party all night, are on a business trip, celebrating the first year of your retirement, or organizing a Sweet 16 – we only want you to have a good time without having to worry about traffic, and gas, and parking and how you will get back home or to the hotel whether it's the Hampton Inn or the luxurious Grand Palm Hotel & Resort or any one of the Bed and Breakfasts in the area. Wouldn't you feel better knowing you don't have to worry about parking or paying for last minute overnight parking? Pembroke Pines Bus Rental in Broward County, Florida will give you VIP service to any destination, at any time – even to Walmart, Starbucks, and shopping centers if you're just looking to stock up for the month. Our high-end treatment with low-end prices doesn't stop there. We're dollar cheap and service rich! Our chauffeurs are all excellent drivers, many of which are bi-lingual, and work with our in-house mechanics to make sure we are giving maximum service. All of our VIP coach and minibuses are quality tested and meet safety standards. Leather seating, privacy dividers in our exclusive cars, HDTV's and surround sound stereos and fully equipped bathrooms on our coach buses – why pay for an overpriced cab or parking when you can get exclusive coach bus or airport shuttle service like this? 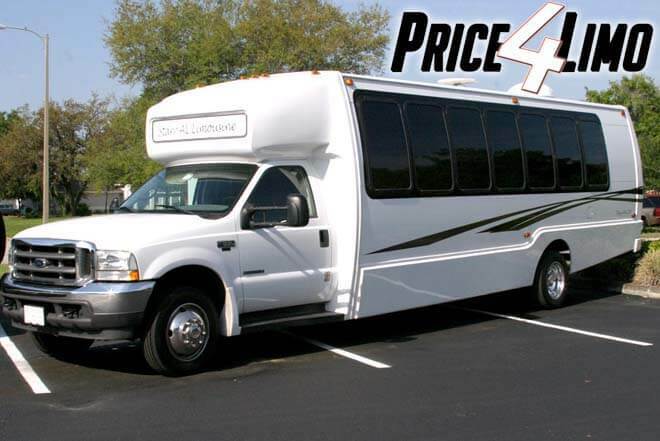 Price4 Limos Pembroke Pines Coach Bus Rental service will get you and your guests back home safely. Our exclusive Bus Rental service includes door-to-door service and complimentary baggage help and refreshments. Perfect for any season or event – we even offer Pembroke Pines Executive Corporate Bus service for conventions, business conferences, or daily commutes to the office. 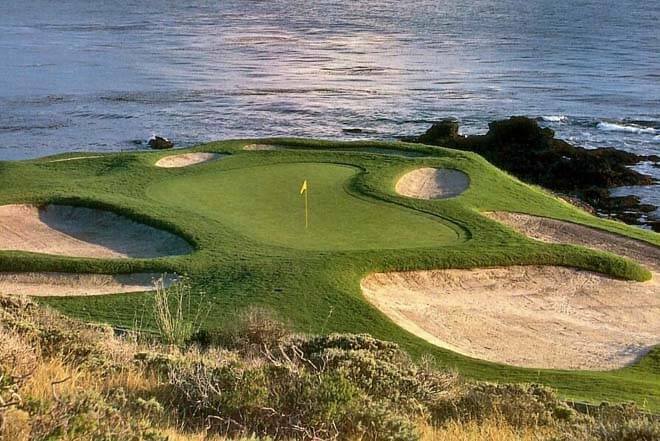 Or maybe you just want to an Activity Bus or Pembroke Pines Shuttle Bus for the weekend as you decide to make your way to all of the Golf Courses in the surrounding areas – be it Flamingo Lake, Hollybrook, or Pembroke Lakes Golf -- Pembroke Pines Bus Rental Service will get you there. Compared to other luxury transportation, bus services, or cab companies – we do not use metered rates so you can save lots of money with no extra hassle regarding time or mileage. 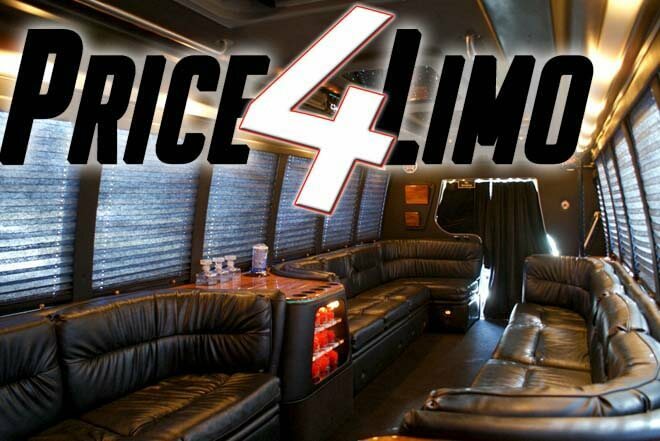 And the bigger the group, the more you can save with a flat rate – only from Price 4 Limo.com. Fill in your bus reservation info now. Let us know your personal requests and business transportation needs when your reservation agent contacts you. Get an airport shuttle bus or charter bus quote instantly on Price4Limo – the best place to book your Coach, VIP, shuttle and charter bus rentals in Pembroke Pines, Florida.